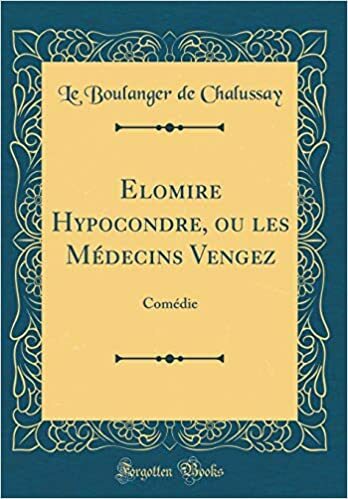 I reread chapters of my thesis on Molière‘s (1622 – 1673), a study of the pharmakós in six of Molière‘ comedies, and my article on L’École des femmes. The article is fine. As for my thesis, its chapter on Le Misanthrope requires a few quotations and should be linked to “Le Misanthrope, ou la comédie éclatée,” a paper I read at an international conference on the Age of Theatre in France. It was held at the University of Toronto, on 14-16 May 1987. Following are a few comments on the plot of comedies and farces, on jealousy and the dénouement. All’s well that ends well is a play by Shakespeare (baptised 26 April 1564 – 23 April 1616), which describes comedy in general. The French use the following formula: Le blondin berne le barbon, or The Young Man fools the Old Man. However, there are times when Molière blends the two formulas. One could say that the School for Wives‘ Arnolphe is “hoisted with his own petard” (Shakespeare’s Hamlet) or that he is le trompeur trompé (the deceiver deceived). He raises his future wife, but she marries a young man. By keeping Agnès inside his house, Arnoldphe believes he is raising a wife who will not be unfaithful. When Arnolphe learns Agnès loves Horace, he does not speak like a lover. He speaks like an accountant. He brought her up, so she owes him. The matter of her debt is discussed. Arnolphe, the blocking character or alazṓn, senex iratus, Miles gloriosus, etc. alienates Agnès. After meeting Horace, she tells Arnolphe that the young man she loves knows how say what pleases her, which is not the case with Arnolphe, the embodiment of jealousy. 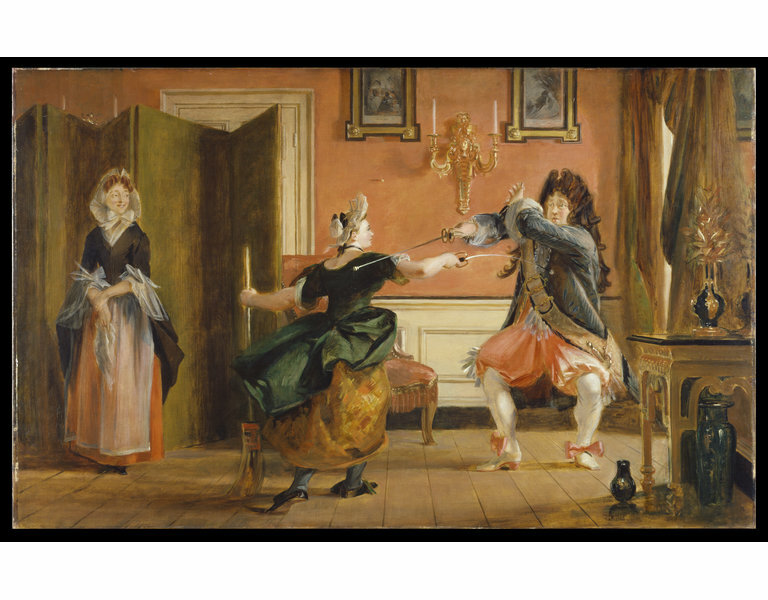 The School for Wives was first performed at the Palais Royal theatre on 26 December 1662. Comedies promote marriage and pleasure. Que de se marier il donne des désirs. But you ought to have driven away that amorous desire. Le moyen de chasser ce qui fait du plaisir ? Car à se faire aimer il n’a point eu de peine. Que ne vous êtes-vous comme lui fait aimer ? [Heaven! you ought not to blame me. Why did you not make yourself loved, as he has done? I did not prevent you, I fancy. Qu’ai-je de plus qu’eux tous, Madame, je vous prie ? What have I more than all of them, I pray you? Le bonheur de savoir que vous êtes aimé. The role Philinte plays has often been described as that of the raisonneur. When I studied Molière as an undergraduate, Philinte was the raisonneur. More recent scholarship opposes the alazṓn to the eirôn (as in ironic) in a form of contest called agôn (as in protagonist, antagonist, and agony). Normally, the alazṓn is defeated, but not necessarily ousted. In The Misanthrope (1665), no one is ousted, but all characters leave the stage. I am reading Gabriel Conesa’s Le Dialogue moliéresque, seeking information on the dialogue between Philinte and Alceste (1.i), in Le Misanthrope. We have a raisonneur in The Misanthrope: Philinte. When Alceste reveals that civility does not allow him to know whether what praise he hears is mere flattery the truth, a mask falls. He is vain and not a raisonneur. The dialogue between Alceste and Philinte allows us to know the real Alceste (I.i.). As for his dialogue with Célimène, (II.1) it reveals insecurity, inquiétude. As we have seen in Portraits of the Misanthrope, Philinte’s flegme (his calmness) allows him to enjoy the world, however flawed. He is the eirôn, but also, a raisonneur. Alceste, as lover, is conflicted. The agôn, the contest opposing the alazṓn and the eirôn, takes place within him. How can there be a dénouement? The plot of this comedy is circular. I have therefore suggested that although there is a dramatis personæ, comedic functions have been fused, blurring distribution: blocking character, alazṓn, senex iratus (crazy old man) the young lovers and the eirôn (Philinte as raisonneur). This would suggest the total absence in Molière’s Misanthrope of tragedy’s catharsis. No one can be removed. However, Molière’s Tartuffe (1664-1669), features a pharmakós (as in pharmacy). Tartuffe, the hypocrite, is led to prison by an officer: l’Exempt. (Tartuffe.pdf) He is saved by “un Prince ennemi de la fraude.” (V, Scène dernière), (“Our prince is not a friend to double-dealing[. ]” Tartuffe). Yet, Tartuffe was empowered by Orgon who was empowered by Tartuffe. Orgon adopts Tartuffe so he, Orgon, can be a family tyrant with impunity or sin without sinning (casuistry). The dénouement is not a genuine cleansing. Therefore, Tartuffe is a pharmakós, a scapegoat. Comedies where the young lovers fool the blocking character and marry suggest a healthier society, the society of the play. Famous examples are The Would-be Genleman, Le Bourgeois gentilhomme (1670), and Le Malade imaginaire (1673), The Imaginary Invalid. These are classified as comédies-ballets. The music for The Imaginary Invalid was composed by Marc-Antoine Charpentier. You may know that Le Malade imaginaire was first performed on 10 February 1673. Molière suffered from tuberculosis. He collapsed on the stage on 17 February 1673, during the fourth performance of Le Malade imaginaire. He fainted when he was removed from the stage. He was hemorraging. He died a few hours later. However, let us return to Tartuffe where “all’s well that ends well.” Mariane will marry Valère. Micheline Bourbeau-Walker, “L’Échec d’Arnolphe: lois du genre, ou faille intérieure?,”Papers on French Seventeenth Century Literature, 11, nº 20 (1984), 79-92. Harold Knutson, “Yet another last word on Molière raisonneur,” Theatre Survey, 22, nº1 (1981), 125-140. I explored the British Royal Collection and learned that in 1940, it was suggested that the above portrait, by Giovanni Bellini, was a portrait of Pietro Bembo (20 May 1470 – 11 or 18 January 1547). It is a suggestion, which means that there is an element of doubt. The facial features of the Royal Collection’s Pietro Bembo bear a resemblance to Raphael’s portrait, but Raphael’s portrait of Pietro Bembo (c. 1506), shows a dark-haired Pietro Bembo. I know of Pietro Bembo from my days as a student of musicology. He is associated with the development of polyphony (many voices) through the madrigal (songs in the mother tongue, as in the Spanish madre), secular songs. However, Pietro Bembo was a writer, not a musician. As the popularity of madrigals waned, Louis XIV, who loved to dance and was a dancer, hired Italian-born Jean-Baptiste Lully, or Giovanni Battista Lulli, a composer and dancer. When Molière returned to Paris after spending several years touring France, his Précieuses ridicules (18 November 1659) impressed the court. I have yet to order my new computer, but when it arrives, we will again be in Italy briefly. Molière created the comédie-ballet. Les Fâcheux was performed at Vaux-le-Vicomte. Molière wrote the text and Lulli, the music. The ballet accompanying Les Fâcheux (The Bores) was choreographed was Pierre Beauchamp. A few years ago, I wrote a post on Vaux-le-Vicomte and, in partiular the feast hosted by Nicolas Fouquet on 17 August 1661, perhaps the most lavish fête in the history of France. Louis XIV had just become king of France. Louis was so impressed that during the fête itself, he decided to destroy Fouquet, or Foucquet. The video I used has been removed and I have yet to find a video that matches the former video. Would that Giovanni Bellini had given a name to the persons whose portrait he painted. He entitled many of his portraits as Portrait of a Young Man or Portrait of a Man. I have a new post, I hope to publish today. It is about ballet. Molière created the comédie-ballet in 1661. He created a total of 11. The video shown below is an excerpt from a film entitled Le Roi danse.